F3 Pro is an offensive blade recommended for modern attack minded topspin players. It has great playing properties and works very well with the new plastic balls. The veneer structure strongly resembles classic Japanese 5+2 blades. 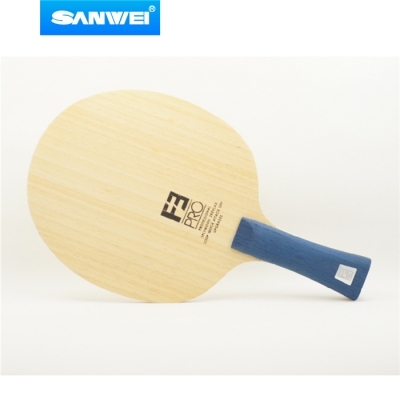 Sanwei’s developers have combined five wood veneers with two arylate carbon plies. The result is great speed for all offensive strokes but thanks to the ayous outer veneers the touch and ball feeling is still relatively soft.